Through our memberships in leading national and international legal networks, our attorneys maintain their ability to provide clients with exceptional legal knowledge and quality service. Two of the leading organizations with which we are affiliated are Business Counsel, Inc., and PLAN (Professional Liability Attorney Network). 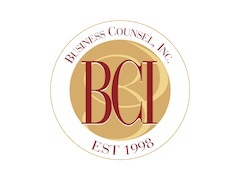 Business Counsel, Inc. is a network of law firms that are committed to providing high quality legal services to the corporate business community. The Professional Liability Attorney Network (PLAN) is an invitation-only national organization of AV-rated law firms with highly skilled attorneys in coverage and defense of professional cases. We are proud to be affiliated with these organizations, which allow us to assist clients by expanding our reach, providing resources throughout the United States and internationally.